Imagine a membership wherein you can auto-redeem every offer just by being a member. No need for points. To enjoy perks at places you already frequent. The eGetinnz VIP Card is the card for you. It lets you enjoy all the perks of life that an eGetinnz VIP membership has to offer. The Premiere Privilege marketing program of eGetinnz that connects Philippine cardholders to thebest lifestyle services in various hotspots inteh Philippines. The objective of this program is to provide a value-added service to all eGetinnz clients and users through the use of the VIP Card. It enables anyone to enjoy must have savings in their day-to-day purchases through exclusive and unique deals of discounts from most sought after brands in dining, entertainment, beauty, wellness, healthcare, travel and much mor. eGetinnz VIP Card – Includes? eGetinnz VIP Card comes with a membership kit designed in a sleek black and gold tin. The package comes with a welcome packet, lists of partner merchants, travel bag tag and 4 booking vouchers. Your eGetinnz VIP Card can let you enjoy perks, privileges, and discounts for a more rewarding lifestyle experience. Become VIP with eGetinnz VIP membership. Get exclusive discounts from partner establishments. Buy One, Take One deals. Complimentary entrance to hot nightspots. Get 4 travel vouchers you may use when you book your next travel accommodation. Be the first to know about our amazing promos. How to redeem you VIP discounts and perks. IN-STORE: Present your eGetinnz VIP card, or show your VIP confirmation email on a handheld device or as a printed copy. Photocopies are not accepted. A valid ID must be shown to ensure your info is accurate to any of the partner merchants. The eGetinnz VIP discount card is non-transferable. The eGetinnz VIP discount cannot be combined with coupon code(s), store promos, or any other discount. Only 7km long, and at points, only 500m wide, Boracay has become the most famous island in the Philippines. The island is a postcard-perfect location, defined by white sandy beaches, clear blue waters, palm trees, and luxury resorts. For those looking for a relaxing holiday, settle into the islands beach beanbags, and enjoy ice cold tropical cocktails. For the more adventurous, there is a wide range of water sports activities, including jet skis, windsurfing, and diving. Ariel’s Point is a small rocky island 30 minutes from Boracay with 5 diving boards, ranging from 3 to 15 meters. The challenge of cliff diving combined with the natural environment, the social setting, unlimited drinks, and a BBQ buffet make it one of Boracay’s most popular things to do. It’s a day trip and the use of activity equipment such as snorkeling gear, stand up paddleboards and kayaks is included. Parasailing is an exhilarating way to get amazing aerial views of Boracay and its surroundings. You’ll have about 15 minutes of airtime to enjoy. A paraw can carry up to 6 people and you can choose between a private or a join in a group tour, both normally last an hour. Experience the ultimate aerial view of Boracay with a helicopter. You’ll fly all around the island to get views of its different beaches and surrounding islands. If you’ve never experienced flying in a helicopter before, this is your chance to do so at a surprisingly affordable rate. The heli can carry 3 people (excluding the pilot), and flights last from 10 up to 20 minutes. The mainland adventures tour is a day trip that takes place at and around Nabaoy River. A jungle garden next to the river serves as the base camp from which you can explore the surrounding nature, enjoy the BBQ lunch and do add-on activities. There are many add-on activities to choose from, such as river tubing, waterfall exploration, mountain biking and more. Boracay has over 15 dive sites that are all accessible via a short boat ride. Most of them are easy so it’s a perfect place for beginners to learn. If you’re a more experienced diver then there are some challenging dive sites as well, like Yapak. Helmet diving is the easiest way to enjoy the underwater world of Boracay. No swimming ability or diving knowledge is required. Just put the helmet on and you’re ready to go. Once you’re down under you’ll be surprised at how tame the fish are, they’re not scared of you, and you can feed them too. Your guide will also take underwater pictures of you and your friends which you can take home as a fun reminder of the activity. Zip down across Boracay’s landscape in the superman position and feel the high-speed thrill as you take in the view of the lush green landscape, and Lapuz Lapuz beach to your right. The zip line ride takes about 3 minutes. After that, you’ll travel back up to your original position in a cable car. That ride takes 15 to 20 minutes, so on the way back, you’ll have time to enjoy the view in a more relaxing setting. The Fly Fish is a big inflatable raft that goes airborne when a speedboat pulls it along at high speed. At medium speed, it’ll start to make unpredictable movements as the front of the raft lifts up. It’s lots of fun trying to hold on as it twists and turns and occasionally goes airborne. Learn to swim like a mermaid in Boracay’s clear blue waters and meet other mermaids. You can also capture your transformation with a photo shoot. After a fun-filled day of activities, what better way is there to relax than with a massage. Rest and let your body recharge for the evening. You can get a massage either along the beach or inside a spa. On the beach is usually cheaper, most commonly? P350 (~USD $7). eGetinnz is the newest travel accommodation website that offers smart travel solutions at a very reasonable price. 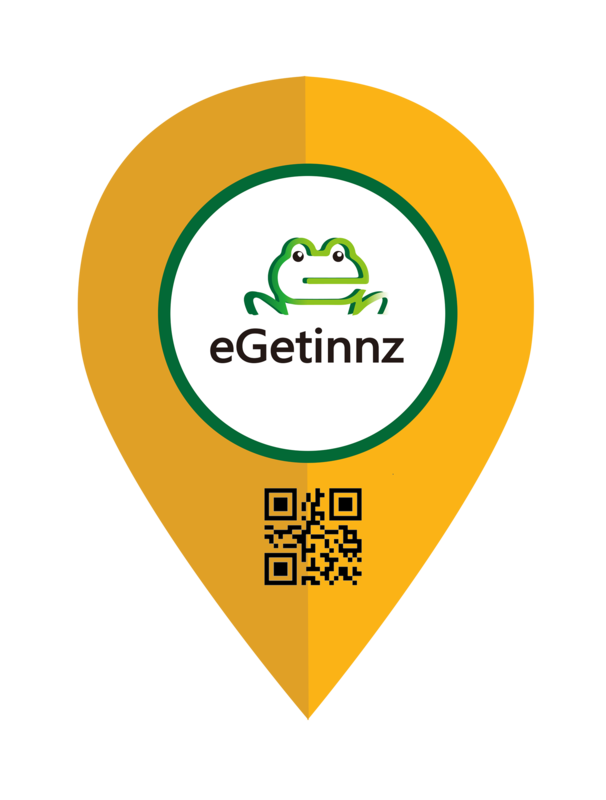 Finding you the best home away from home is not going to be hard when you try it with eGetinnz, it is fast, easy, and hassle-free.